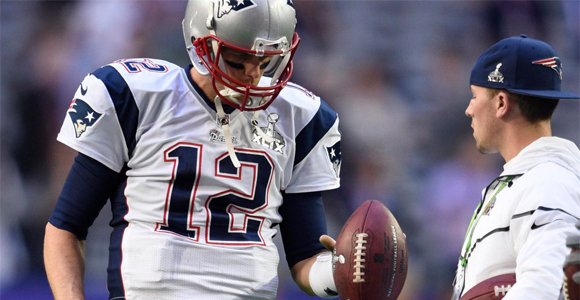 With last weeks reveal of Ted Wells investigation into the deflated balls incident that occurred during the NFL Playoffs, it was concluded that Tom Brady had knowledge that the balls were tampered with; too bad sportsbooks didn’t make that a prop bet. Brady, quarterback for the New England Patriots, was just given his punishment. He was given a 4 game suspension, while the team was given a $1 million fine, as well as getting their 2016 first round Draft pick taken away; although with the amount of money they make this will not put a dent in anything financial. However, the bad publicity may be another story. This is just one more scandal that the Patriots are a part of. One scandal that made front page news was in 2007, when the Patriots were caught videotaping the New York Jets’ play-call signs. They are the team that has had most 1st round picks taken away from them in NFL history. Let’s see how well Tom Brady faces all of the media coverage, but he does plan on appealing his suspension.